3ph compressor option for Soda-Blast rooms and static applications. 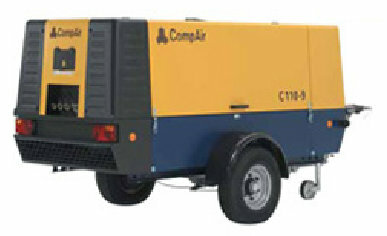 The C110 Delivers 11.3m3 (400cfm) @ 10 bar (150psi) and includes a 20m hose real (66ft). Available with 50mm towing ball or eye.